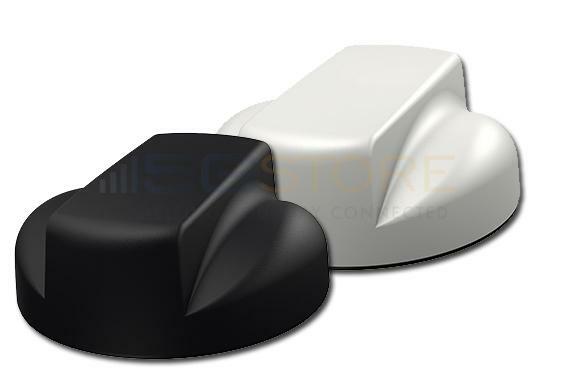 The range of Cradlepoint Certified low-profile dome antennas by Panorama are designed so your business can take advantage of the latest vehicular LTE routers. 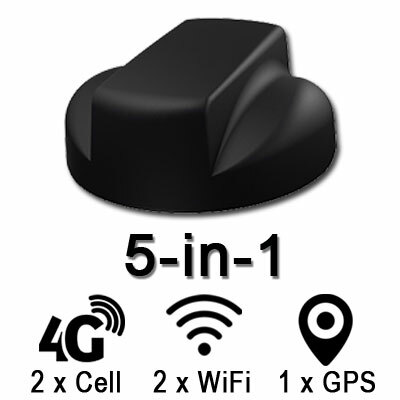 These vehicle antennas mount directly to an automobile’s roof, providing better connectivity for passengers or remote fleet management. 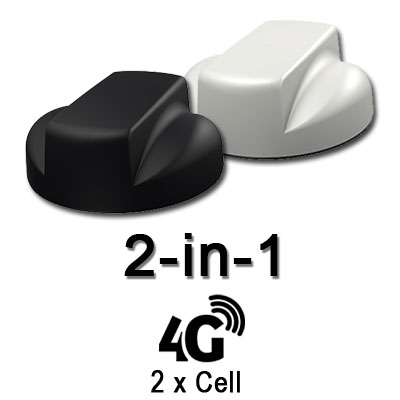 Each antenna enclosure contains up to five total antenna elements for high-end networking performance: two ultra-wideband MiMo antennas support cellular and LTE frequencies, up to 2 dual band elements covering 2.3-2.7 & 4.9-6GHz for WIFI MIMO/diversity, and a GPS antenna that has an integrated LNA with a 26dB gain for precise positioning data. Each antenna element in the Panorama Great White family is isolated to improve efficiency for all networking functions. The MiMo elements cover 698-960 and 1700-2700MHz network frequencies across all major carriers while the Wi-Fi elements support 2.3-2.7GHz and 4.9-6GHz networks. The low-profile enclosure is made of ASA and die-cast aluminum that stands up to harsh weather. These thru-roof antennas only need a single mounting hole and do not require a metallic ground plane, which means users can easily install them for high-performance use with a wide range of vehicles. Panel mount, magnetic mount and trunk mount options are available. The Cradlepoint Dome Antenna by Panorama can be special ordered in many other configurations besides the ones shown below (color, number of WiFi elements, etc). Please contact us for a quote.